The Olympic motto of ‘Citius, Altius, Fortius’, translated as ‘Faster, Higher, Stronger’, is well known. But what does it actually mean? Does it refer to the physical traits needed to be successful at the Games? Or does it refer to the mindset and psychology that athletes require to reach their potential? In an age of better understanding of coaching, physical preparation and sport science, more and more athletes are in peak physical condition. There is much of a muchness. 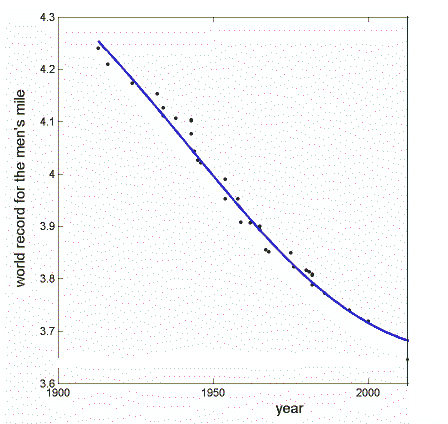 After London 2012, we examined the gap in times between Gold and Silver medalists. The results? Less than 1% difference. If what separates the best from the rest is not the physical, could it be the mental? 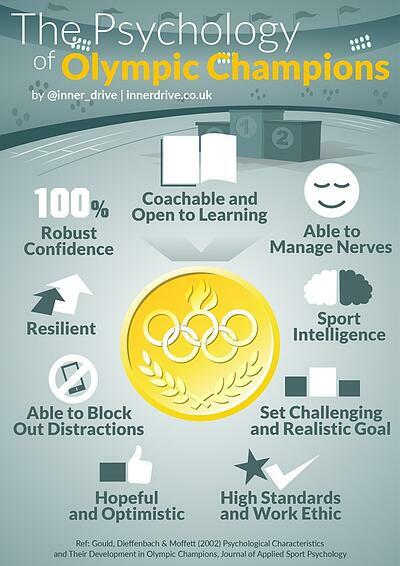 Coachable and Open to Learning – Believing that you can get better and improve (i.e. having a growth mindset) results in people seeking out feedback, persisting for longer and coping better with transitions. This is exciting, as mindset is malleable (it is something itself that can be improved). Strategies to do this include praising certain behaviours and talking to yourself in a more constructive and helpful way. Managing Nerves and Robust Confidence – Delivering your best when it matters the most requires managing your nerves. It often takes athletes years of experience to work out how best to do this for them (a possible reason why many athletes don’t medal in their first Games?) For more information on how athletes best manage their nerves, we recommend reading our blogs, ‘5 Ways to Manage Nerves’ and ‘6 Ways to Conquer Self-Doubt’. Athletes can further boost their confidence by using The Past, Present and The Future. Reminding yourself of previous success (The Past), surrounding yourself by people who make you feel good (The Present) and visualising a successful performance (The Future) will help. Hopeful and Optimistic – ‘Hopeful’ encapsulates the belief that tomorrow will be better than today (chiming well with the motto ‘Citius, Altius, Fortius’). Psychologist Angea Duckworth states that having hope is a key component to developing grit. ‘Optimism’ refers to how you explain events that have happened. An example of this being if you see setbacks as being permanent or temporary. Martin Seligman – often refered to as the father of Positive Psychology – wrote a book called ‘Learned Optimism’. He details how people can help develop this skill and it is one of the best books we have ever read. We strongly recommend it. Resilience – Due to some excellent research, we now know how Olympic champions feel they develop the resilience needed to win gold. These include viewing your decisions as active choices and not a sacrifice, using social support available and viewing setbacks as an opportunity for personal growth. You can read more about this here. Game Intelligence and Blocking Out Distractions – Game intelligence is a hard thing to quantify, but is a very valuable skill. It is about making good decisions very quickly based on what is happening whilst you compete. Being able to block out distractions (i.e. the crowd and the potential consequences of failing) help athletes do this. This is a hard ask at the Games, when athletes are all to aware of the consequences of their performance. But this just makes this skill even more valuable. Challenging and Realistic Goals – We are not talking about setting SMART goals here. This well known acronym doesn’t cover the nuance and subtleties of how to set goals. Olympic champions do this well. Their goals push them hard enough to keep them motivated, but aren’t unrealistic (relative to their ability level) so that it keeps their enthusiasm high. One paragraph really isn’t enough to do the complexity of goal setting, which is why we wrote our blog ‘How To Do Goal Setting Right’. High Standards and Work Ethic – In the research, this is referred to as ‘Adaptive Perfectionism’, which describes ‘deriving satisfaction from achievements made from intense effort but tolerating the imperfections without resorting to the harsh self-criticism that characterizes Maladaptive Perfectionism’. This can be a tricky balance; you want high standards but not if they are followed by unhealthy bouts of digging yourself out. Who win golds and who doesn’t at this years Games will come to fine margins. In some cases, maybe less than a centimetre. Small differences clearly make a big difference. Perhaps the biggest difference of all will be down to who masters their psychology best, allowing them to execute their game plan as best as they possibly can.